Unknown2:32 PM 0 sweets for free! What's your remedy when something overheats? You cool it. Right? It's the same principle for tired eyes. We tend to exhaust our eyes while we navigate horrible Manila traffic, or playing Candy Crush games, or working in front of the computer. When this happens, our eyes get tired, surrounding skin gets exhausted and in turn gets saggy. Working too hard and lacking sleep is another culprit. We need a little help and that's what this little miracle is for. 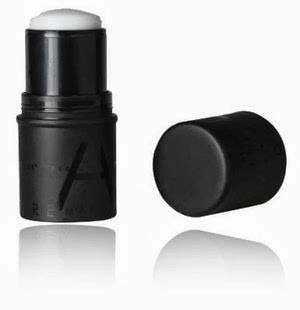 I've tried this interesting product from Make Up Store, their Cooling Eye Stick. The Make Up Store Cooling Eye Stick is an eye cream in stick form which acts as a cooling and refreshing quick touch to your eyes for instant rested effect. This also gives a tightening effect, aiding the skin surrounding your eyes to prevent it from sagging. The feeling of relief is instant! It also reduces dark circles and puffiness as well as providing much moisture, so you won't have to worry about wrinkles too. This Eye Cool Stick has several active ingredients such as chamomile - known for its moisturizing properties. The diocese that also drains the skin of waste products. I recommend this for everyone - guys and girls. It's light and very portable and you can carry it with you every day like I do. Visit their flagship store at the 2nd Level, The Podium.